Finished artwork should be protected from general dust and pollution with an application of a thin layer of varnish. 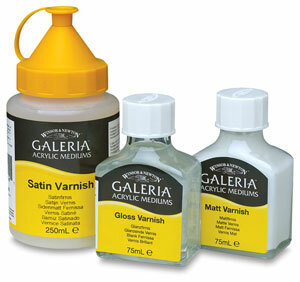 These products impart a protective satin, gloss, or matte layer to finished paintings. They can be mixed, allowing artists to create their own unique finish.